A two-day music and art celebration in the Silver Lake neighborhood of Los Angeles. 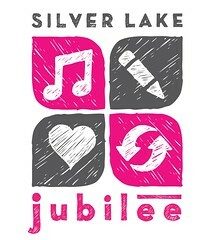 The festival features more than 20 musical acts, comedy shows, local artists and crafters, food and merchandise vendors, and children activities. Dates: May 22 and May 23 (Saturday and Sunday), 10:00 a.m. – 10:00 p.m. Celebrate day seven of Lance Armstrong and North America’s largest cycling race, the Amgen Tour of California, with a day of festivities at the MBT Lifestyle Festival. Festival includes health and fitness expo, cancer awareness education, cycling gear, family activities, bike safety, food, entertainment and more. Dates: Saturday, May 22, 11:00 a.m. – 4:30 p.m.
How to get it: Show your valid Metro pass, Metro Rail ticket or TAP card at the Metro Booth. Join the fight against obesity and diabetes as City Lites hosts the 7th Annual Inner City Sports Festival and Health Fair. 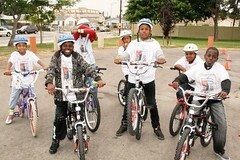 Participate in the 23 & 5 Mile Bike Tour (kids under 17 ride free) and soak in the fun at the free outdoor festival. The event will include a health fair, cultural entertainment, food, carnival rides and safety awareness activities. Dates: Saturday, May 22, 9:00 a.m. – 6:00 p.m.
How to get it: Show your valid Metro pass, Metro Rail ticket or TAP card at the City Lites Booth. Where: Jesse Owens Park, 9651 S. Western Ave.